It can be used fairly ordinary. It was not a feeling of saying something special. I lose the name Masamune. This review is about item#37009804. The holes of stainless steel etc. are wonderfully nicely opened. This review is about item#37008797. I purchased 1.1mm and 1.0mm. Although 1,0 mm was beautiful, I think that 1.1 mm is a cut piece, but many were attached. It looks like a second-hand product. This review is about item#37007537. Great! A hole opens without difficulty in stainless steel material. I found something good. This review is about item#37008237. This review is about item#37009822. Used for rusting and breaking bolts The cutting edge of the new product is very much cut and the work progresses. This review is about item#37008194. Drilling can be done easily in stainless steel. It will be more helpful if there is discount at the bulk selling. This review is about item#37009847. Although it is aluminum material, there is only price and sharpness was no problem. This review is about item#37010181. This review is about item#37009725. I do not know the durability when used frequently as a professional, but amateur work is of sufficient quality. This review is about item#37010084. It is used for hole processing of SUS plate, but it is low price and sharpest. Although durability is not high, it is repeating with goods with excellent cost performance. This review is about item#37008176. This product is defective. It was in a state that I could not drill a hole from the beginning. This review is about item#37008081. I think that it excels in sharpness and excellent in cost performance. This review is about item#37009287. 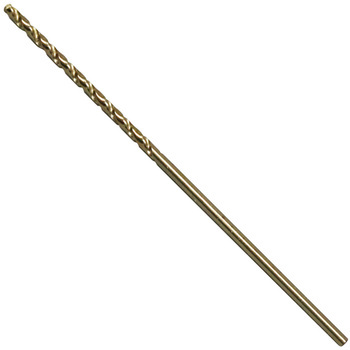 Masamune drill is reliable so you can always purchase with confidence. The job is good, the work goes back. This review is about item#37008657. To use an extractor, I used it as a drill to open a hole in a screw. As described in the item description, you can easily puncture a hole with outstanding sharpness and screws can be removed smoothly. I received it two days after placing an order. There is no problem especially about the product. This review is about item#37009926. You can use it without problems. It is inexpensive and sharp so it is very easy to use. This review is about item#37009865. It is one of the classic products with excellent cost performance for me. Apart from durability it is outstanding as sharpness. I think it will be very good and lasts long. With MonotaRO, it will be very helpful because any size of us usable range comes almost immediately. This review is about item#37008842.